It’s a day that parents may often think will never come. All of your children have moved out on their own and you are left with an empty nest. While new empty nesters may revel in all of their newfound freedom, it’s also important that we don’t forget about them! It will take a while to get used to an empty nest since your once-bustling house is now much quieter. This change is felt most during the holiday season, when decorations are up and family is on everyone’s mind. Whether you are an empty nester or you just moved away from your parents, this less-crowded Christmas takes some getting used to. Keep everyone in mind, even after they have all moved out, with a personalized gift that puts family first! We’ve put together our top 5 gifts for an empty nest that we think will help you ease into life without the kids at home. Additionally, here are some tips on how to thrive in your new empty nest status. Now let’s get to the gifts! Display this piece for all guests to see; our custom wall canvas looks great in any room! Our exclusive word art design gives you the wheel and allows you to have creative control over how the end product will look. Pick a family name, any other names, symbols, color scheme, and even the orientation of the words! Represent everyone in the family with this great decoration. Cuddle up this winter with a warm blanket that will keep your beloved family on your mind. Featuring up to five names of family members and the family’s last name, this elegant and comfy blanket will be a favorite item to snuggle up with when it gets cold and proudly display during periods of warmer weather. What better way to remind you of your loving family than a picture of you all together? 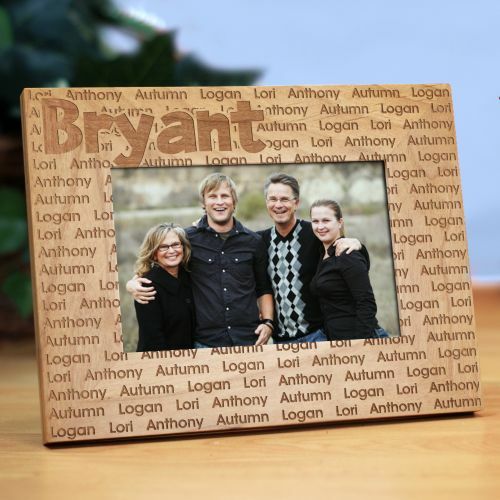 This engraved wooden frame is the perfect way to display your favorite family picture. 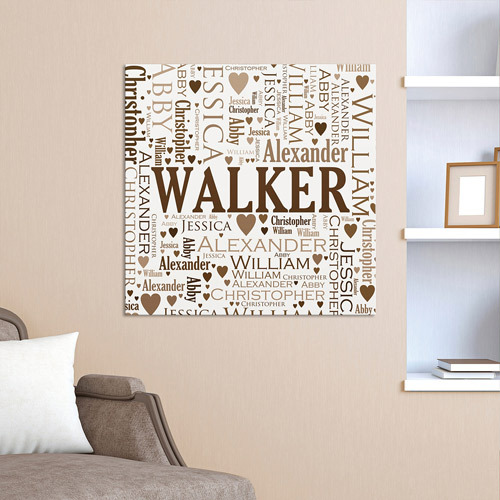 With your last name etched above the picture and everyone’s first name engraved on the frame, this personalized frame is a touching way to decorate the home. 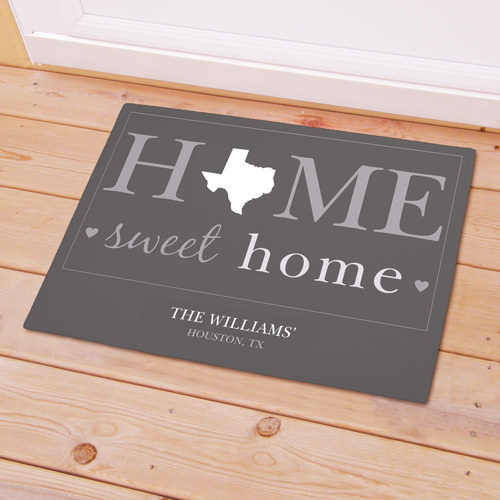 This doormat can brighten up your loved ones’ mood every time they arrive back to their home sweet home. Personalization includes the recipients’ home city and state as well as their name. Choose between a gray and brown design. This doormat will be a cherished piece of indoor (or outdoor) decor for many years to come. 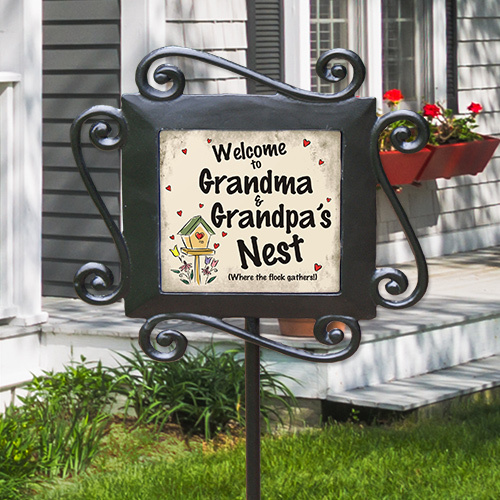 Make sure everyone passing by knows that you are proud to have an empty nest! Whether you are hosting more get-togethers or starting up a garden, the possibilities are endless now that the kids have moved out! This wrought iron garden stake will look great alongside the shrubbery in your garden or yard. Christmastime is the perfect time of year to give the empty nesters in your life something to remind them of their loving family. Make this holiday season a little warmer with a loving, personalized gift. Shop GiftsForYouNow’s wide selection of personalized gifts for grandparents.